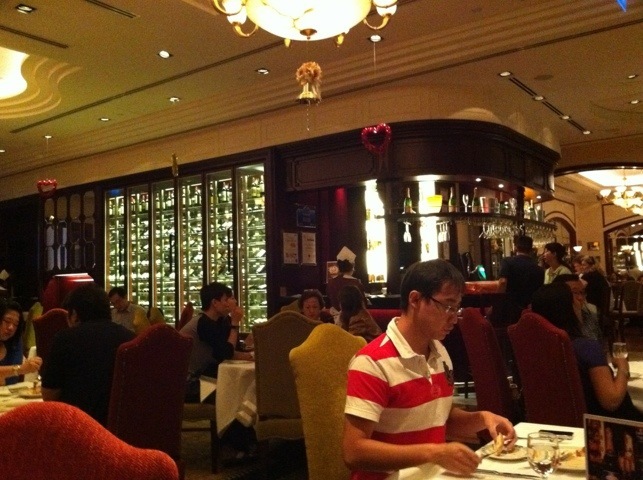 It’s been a while since I have gone to Lawry’s after they moved from Paragon to Mandarin Gallery. 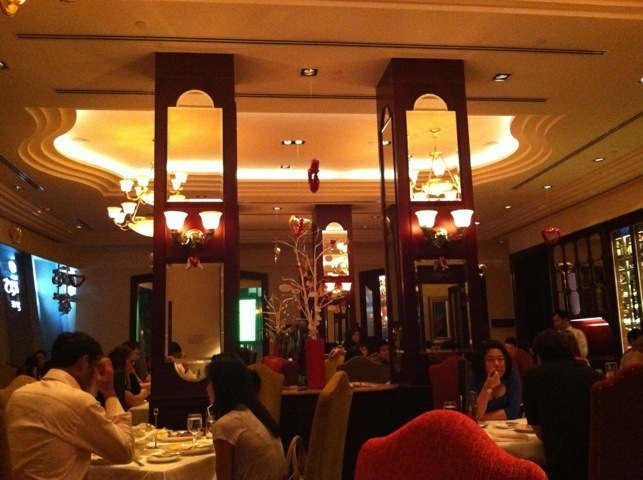 The decor remains the high ceiling, NY steakhouse feel. 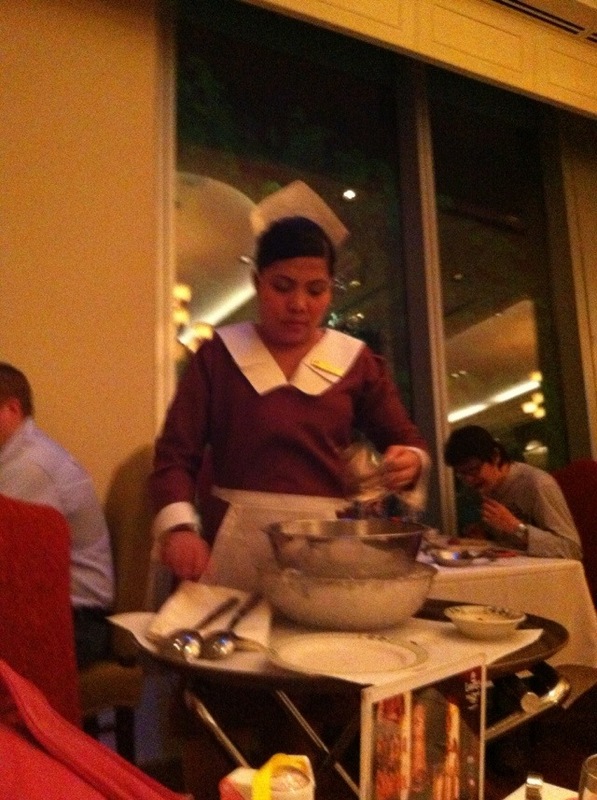 The waitress wears the same burgundy color maid dress with white headdress (cheesy). So nothing’s changed. Seating has been increased, so there is less privacy than before. And the furniture were moved from the previous location, so the decor is quite used. Survey the crowd for the evening, not many people were drinking (alcohol), and so the inclusion of a bar seems necessary to upkeep a NY steakhouse feel but does not really seem necessary especially they are not serving an exceptional list of good vintage or choice of whiskey. 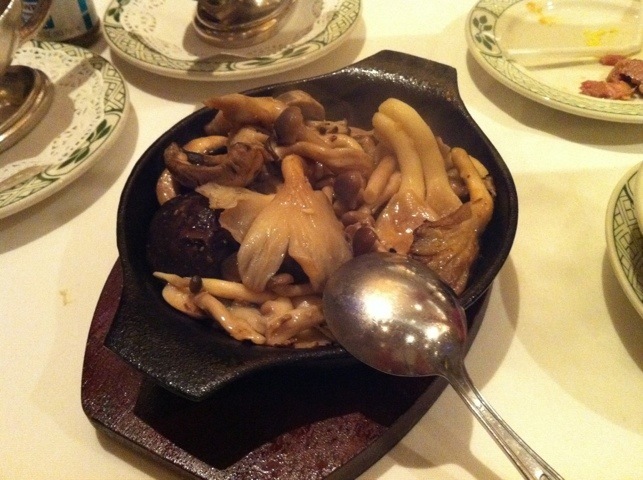 All a-la carte steaks come with the spinning bowl salad. 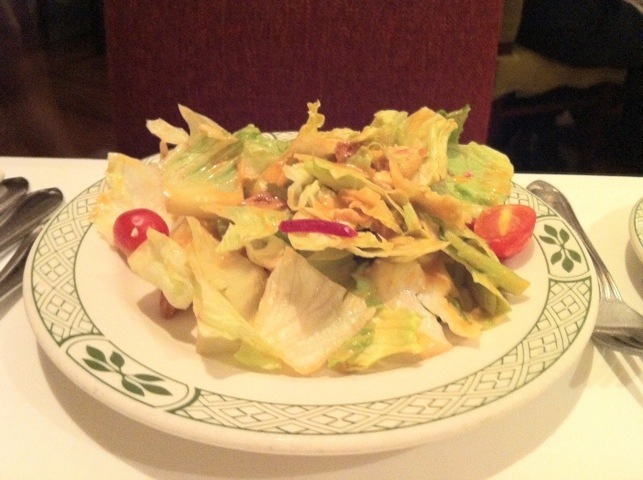 Because all items were chilled (bowl, fork, salad), the salad tasted good – but not exceptional as the sauce is your run-of-the-mill thousand island. 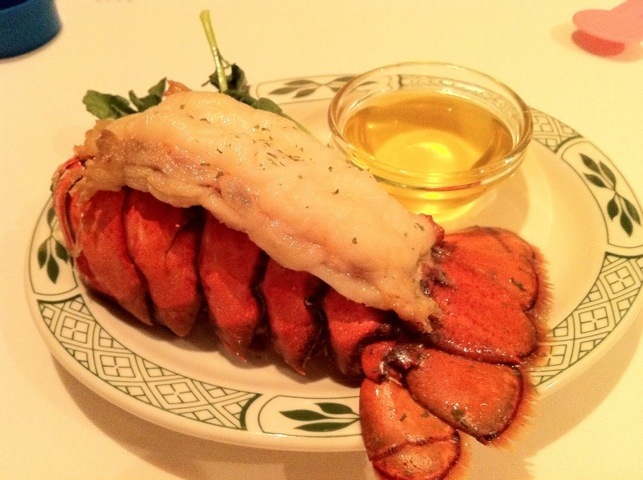 A steak dinner is not complete without its side dishes – lobster tails, foie gras, buttered veg like corn, spinach, etc. 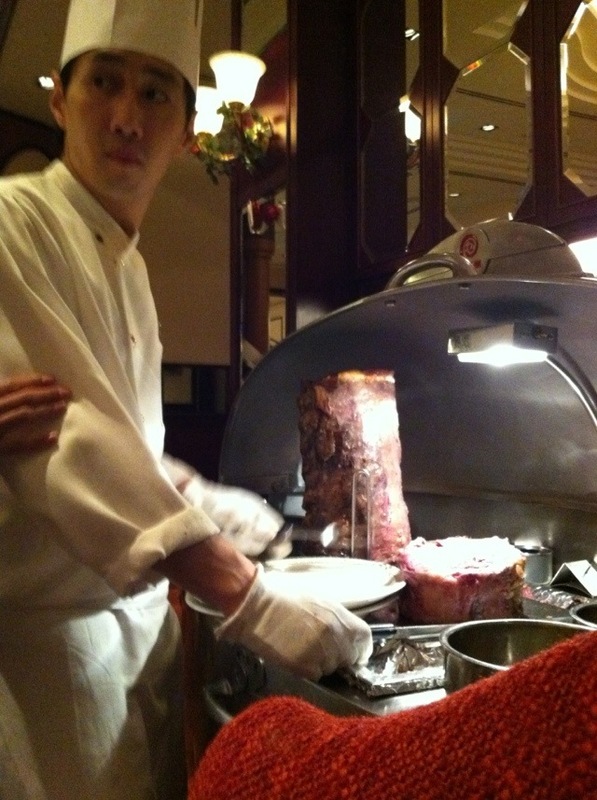 The prime rib is cut a la minute by your table and heated to the right temperature. 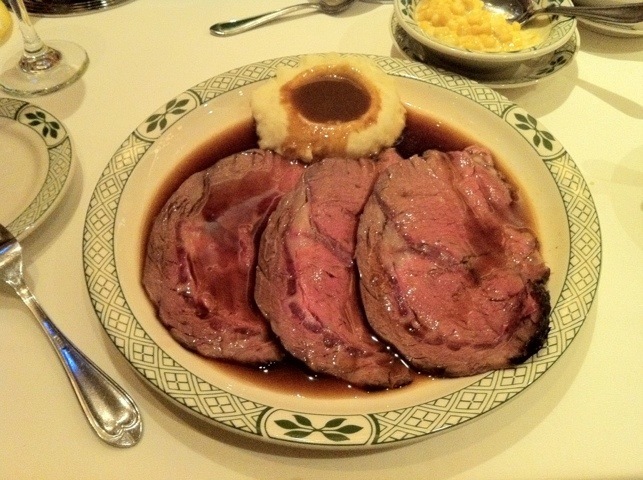 As Valentine Day was near, Lawry’s offered a V-Day set that featured the Prime Rib (English cut, a la one slice less) or a Seafood main as the choices with salad/soup, a starter, a side dish from the trolley and a dessert and coffee/tea. Good value for $95+++. 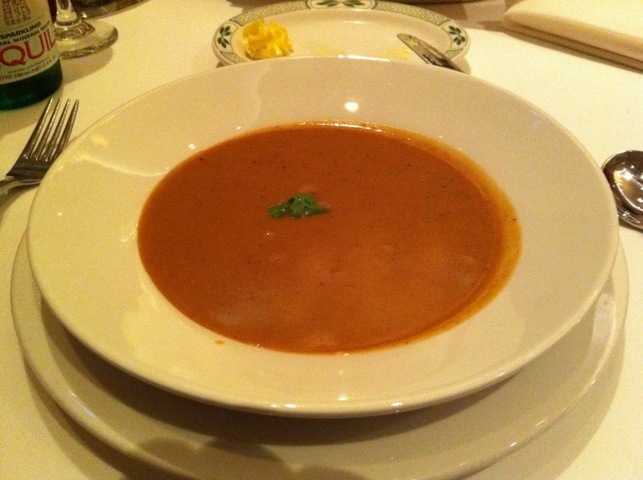 The soup was OK, nothing to shout about. 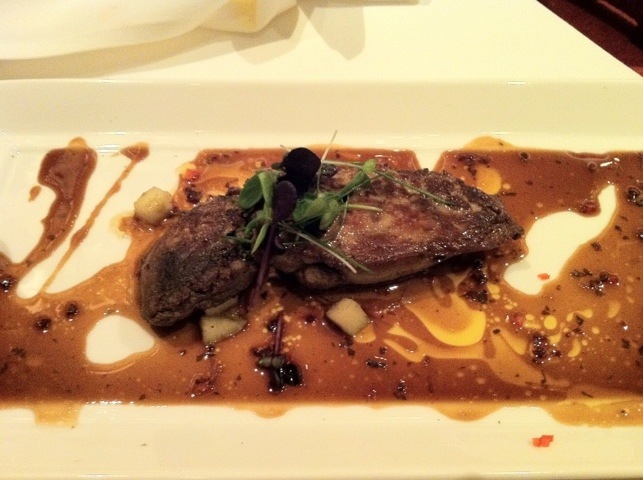 The Foie Gras was a great disappointment, the foie gras itself was not tender and the frying was overdone. 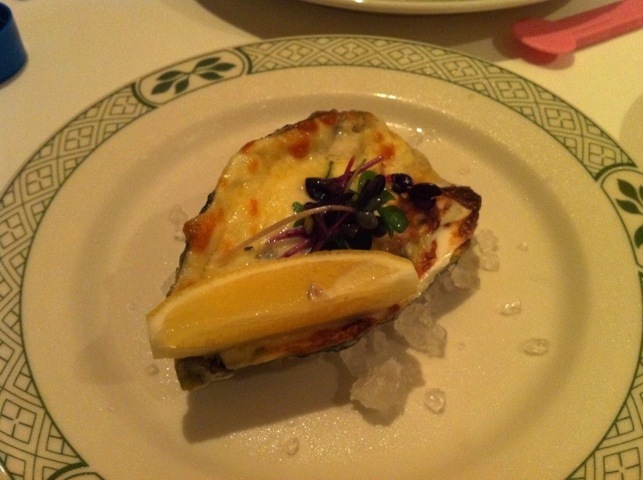 The baked oyster that came with the V-Day set was also a disappointment, the oyster shrank from its original size and all flavor were lost. 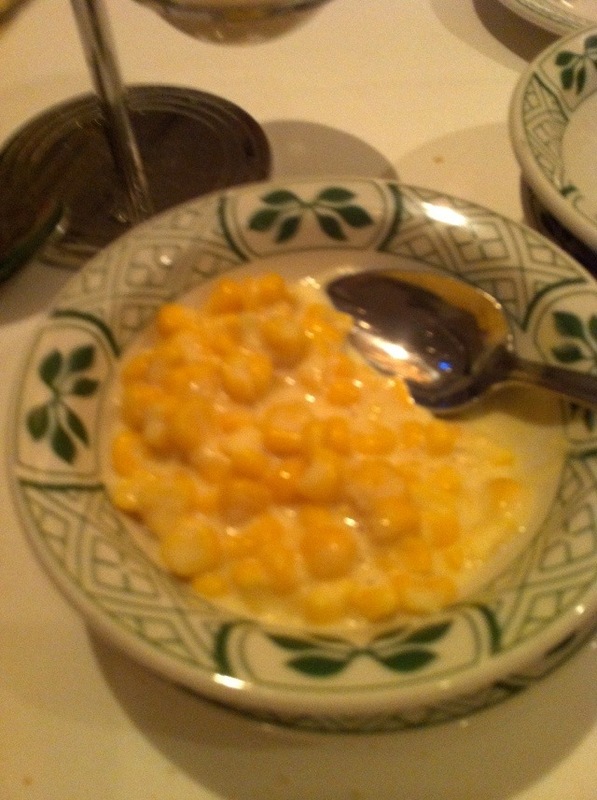 The dessert was nothing to crave for. 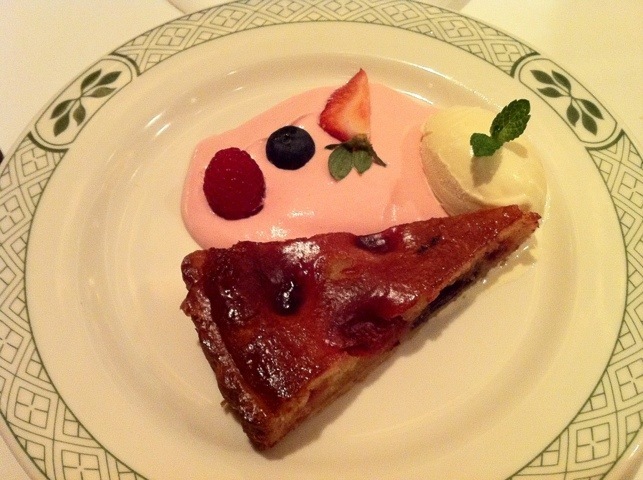 Lawry’s always give the birthday girl (or boy) a small birthday cake, and the waitresses will come around and see you a birthday song. And they will take a Polaroid for you (I have collected many of these over the years), which has been upgraded to a Size 4R photo printed from a deskjet. Conclusion: The Prime Rib is still one of the best in town, but they do not have any side dishes or dessert that can come near its prime ribs. They would have to buck up or they risk the possibility of being outclassed and replaced by upcoming steakhouses (like CUT by Wolfgang Puck) in Singapore.